Hanjin KAL, the holding entity of South Korea’s Hanjin Group owning the national flag carrier Korean Air Lines Co., is expected to have its first meeting with local activist fund KCGI who became its second largest shareholder last month with a pledge to actively participate in management issues of the country’s transportation giant. According to sources from the investment banking (IB) industry on Wednesday, management of Hanjin KAL and KCGI’s legal advisor Hannuri Law will have a private meeting within this week or early next week to reportedly discuss ways to raise the firm’s corporate value and streamline governance structure. Hannuri Law said the meeting will be in line with KCGI’s earlier announcement to exercise appropriate checks and restraint over important management affairs of the company as a major shareholder, reassuring that its client’s aim is not to challenge the management rights of the family-owned business but to facilitate improvement in the group governance structure. 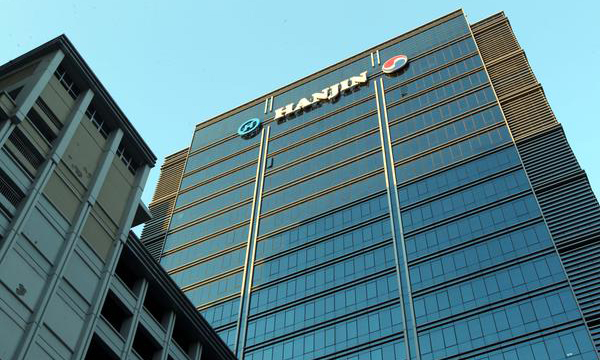 The Seoul-based activist fund last month announced that its wholly-owned subsidiary Grace Holding Ltd. acquired a 9 percent stake in Hanjin KAL, becoming the second largest shareholder. It vowed to actively exercise its voting rights when major management related issues call for its action. As KCGI’s stake acquisition in Hanjin KAL came after a series of scandals and allegations for unfair and illegitimate attempts by owner family members have provoked public outcry in the country, many people predicted KCGI would attempt to challenge and shake the management rights of the founder owner family members that have been wielding omnipotent influence over the entire business operations with a small stake through complex cross-affiliate structure. Experts in business and legal areas expect that KCGI would demand Hanjin KAL sell or re-develop idle assets held by Hanjin affiliates to improve their value and come up with plan to overhaul the group’s ownership structure. Hanjin KAL owns a 29.6 percent stake in Korean Air Lines, 60 percent in its sister budget carrier Jin Air Co. and 22.2 percent in Hanjin Transportation Co.
On Thursday, shares of Hanjin KAL fell 0.81 percent to close at 30,700 won. Korean Air shares finished 1.9 percent lower at 31,000 won.